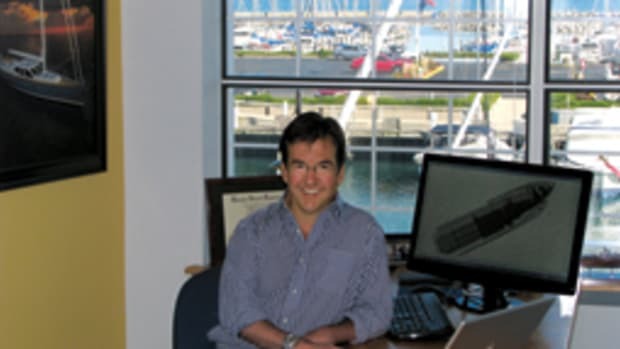 John Livingston is the president of Fluid Motion, the builder of Ranger Tugs and Cutwater Boats. The Kent, Wash., company employs more than 100 and builds nine models from 21 to 31 feet. 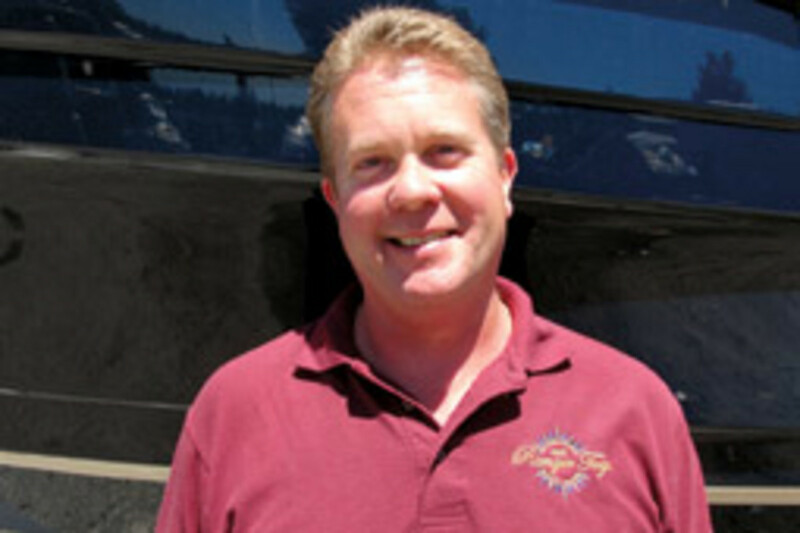 Livingston’s father, Dave, is known for his design and production work for Regal, Reinell and Bayliner, where he served as president in 1988 and 1989. 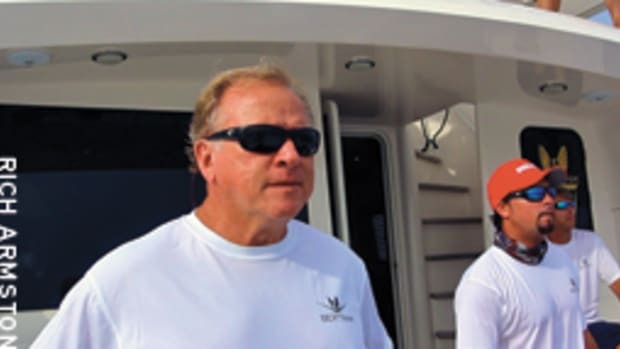 “He’s designed more boats than anyone in the industry,” his son says. The desire to design and build boats burns within John Livingston, 45, just as it did with his father. In his mid-20s, he and his father began constructing a 21-foot runabout in John’s basement. 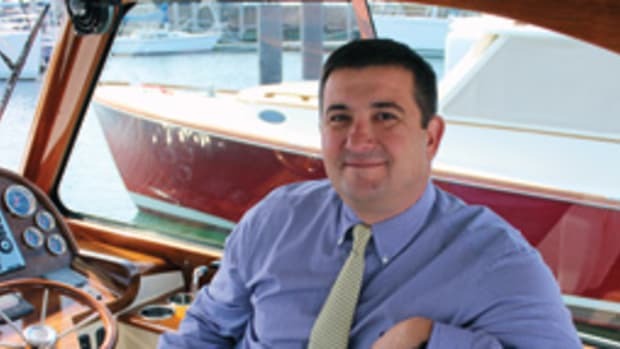 At a trade show later that year “my dad was talking to Paul Kuck [the founder of Regal Boats] about our 21-foot runabout, and the next thing you know our project boat was headed to the Regal factory in Orlando,” Livingston says. He and his father went on to design a fleet of Regals, incorporating their FasTrac stepped bottoms. 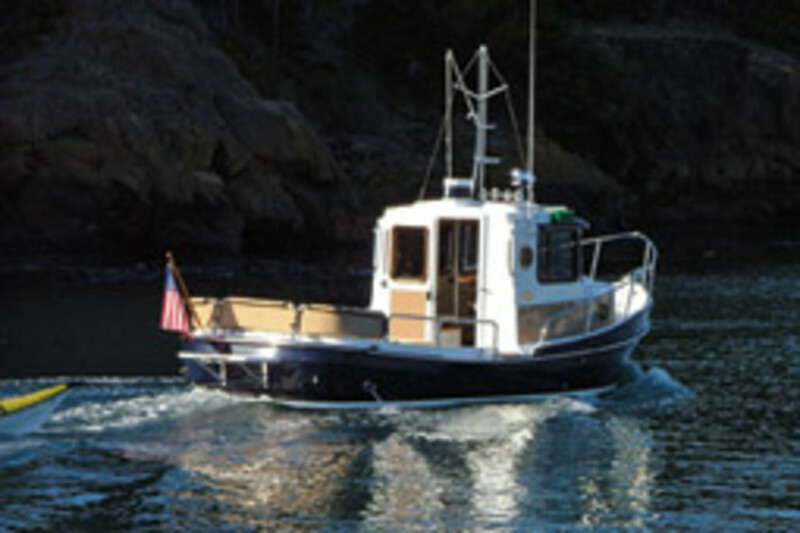 After three years, the father-and-son team moved to the Seattle area, where they purchased Ranger Tugs from Howard “Smitty” Smithson. At the time, Smithson was building Ranger sailboats and the Ranger R21 tug. 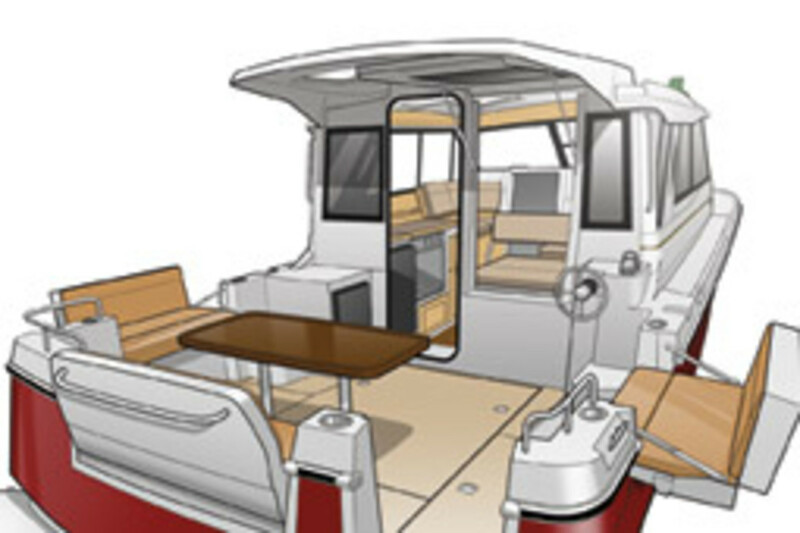 Fluid Motion launched the Cutwater Boats line in 2011. Livingston lives with his wife, Jennifer, and daughters Kate, 16, and Sara, 13, in West Seattle. Q: Tell us about the Ranger and Cutwater lines. A: We build diesel-powered cruising boats. 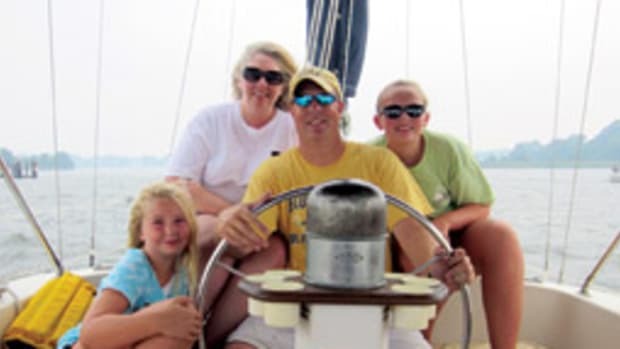 For many of our customers, this is not their first boat, and they appreciate all of the cruising features. We get a lot of downsizers who still want all the amenities they had in their larger boat. The kids are gone now and it’s just the couple and the dog, but they still like boating. They just don’t need the size anymore. They appreciate the fuel efficiency and the room that they can get out of our boats. As far as space use, we do just about as well or better than anybody in the business. 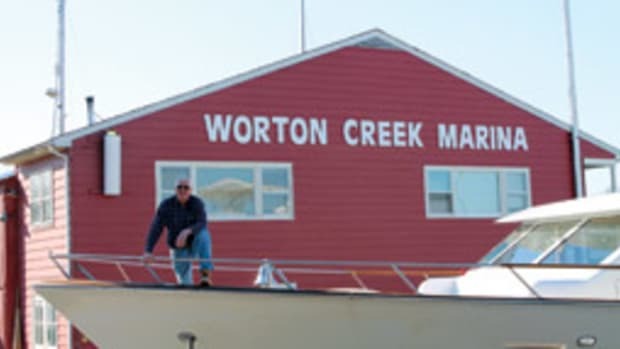 We also sell our boats to many first-time boaters. Our boats are easy to operate, trailerable, fuel-efficient, and we offer a level of service well above the industry standard. Q: Your boats are known for fuel efficiency. In terms of nautical miles per gallon, can you give an example? A: My family used a Ranger 31 Command Bridge last summer when we went on the Desolation Sound trip with our customers. We were cruising 16, 17 knots and averaging 1.4 to 1.5 miles to the gallon, and that was loaded up for a two-week trip, including crab pots, a dinghy and all the supplies. It’s pretty good fuel economy for that size boat and the speed. That is our biggest boat with our biggest engines. Most of the smaller boats can get better than 2 nmpg at cruise. Our little 21 gets about 10 nmpg at cruise. 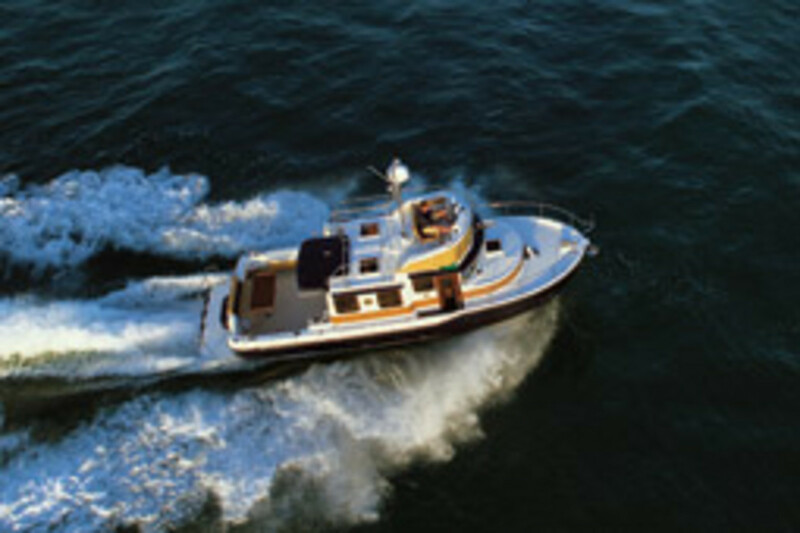 Even with a bigger boat, if you slow it down to 8 to 10 knots you are in the 3 to 4 nmpg range. Q: You’ve stuck with inboard power. Any plans for joystick propulsion systems? A: There is some great technology out there, like IPS, which is efficient and does work well. Some of that is cost-prohibitive for our size of boat. It’s geared more toward the bigger-boat guy. A straight inboard is low-maintenance. We have a pocket for the prop that is well protected. … With inboards, their nemesis is maneuverability, especially when backing up, but with the bow and stern thrusters we have taken that disadvantage away. Anyone can dock our boats — sideways, circles, you can do whatever you want. Docking can generate anxiety, but a couple can dock our boat without it becoming a big event. Q: What materials and methods are used to build your boats? A: We back the entire hull with vinylester resin, which is becoming standard in the boatbuilding business. And we have alternating layers of hand-laid woven roving. 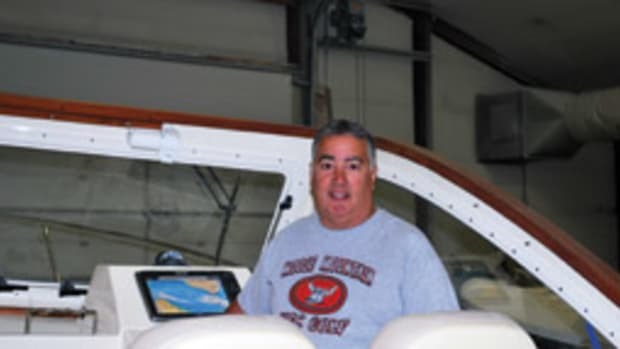 We do a full fiberglass stringer system from the transom to the bow, with places to hold everything from the fuel tank to the water tank and engine mounts. We bond the stringers in and fill them with foam. Everything we do is with glass and foam. We have three parts: the hull, liner and deck. We test every boat on the water before it ships to the customer or dealer. I still go out and test the boats. I want to make sure everything works the way it should. Q: Have you considered electric power? A: We tried it with the 21 tug, a hybrid propulsion system, 10 years ago. Nobody seemed to want to pay for it. It’s a slick idea but not practical at this time. To get the horsepower you need for a powerboat, it takes a massive amount of battery capacity, which is heavy and takes up significant space that could be used for interior accommodations. And with a hybrid it is usually an electric system attached to a diesel generator. The length of all those components takes up all the room, and then you wipe out your interiors. Between weight, expense and overall size, it is hard to put them in smaller boats. Eventually we will probably get there, but with our size boats we are not there yet. Q: Customer service is important to your company — can you give some examples of what you do for customers? 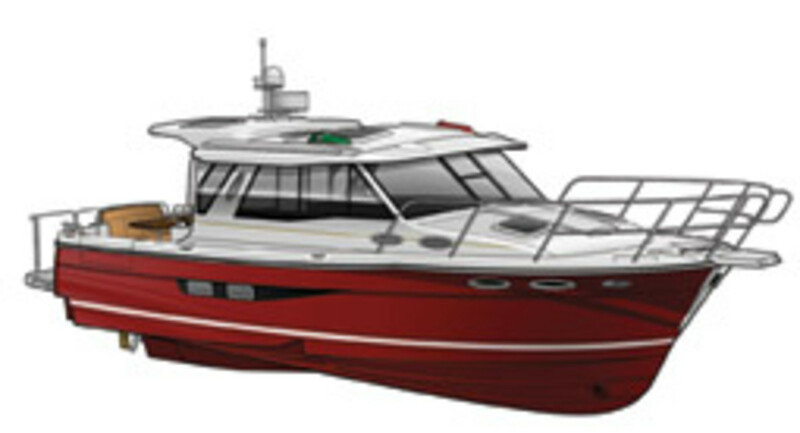 A: If customers visit our factory we will spend as much time as needed to get them comfortable with their new boats. We offer a service called the “factory delivery experience” that many of our customers take advantage of. 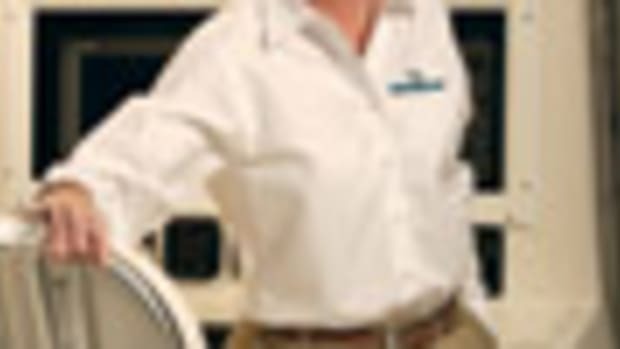 We also have a close relationship with our customers through our online community (www.tugnuts.com). And we have several rendezvous each year around the country. We also do at least one big cruise a year, and it has become a massive event. Q: How did you acquire Ranger Tugs? 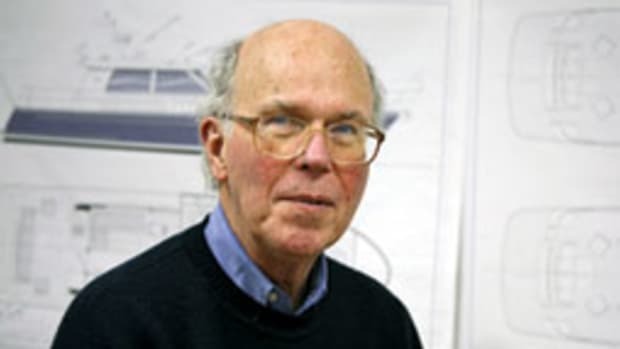 A: After our work at Regal, we came back to the Pacific Northwest and started Solara Boats and in the process approached Ranger Tugs owner Howard Smith, hoping he would construct some fiberglass parts for the Solara line. Smitty and my dad had worked on some projects together back in the ’60s and ’70s. He surprised us by saying, “I don’t want to do this anymore, and I am going to make you an offer you can’t refuse. You can buy the whole [Ranger] company.” We did and inherited [Smith’s] 21-foot Ranger that we went on to build with a larger cabin. Then we designed the 25, which was a smash hit, and the rest of the Ranger line. Q: What was it like growing up with a father who was a well-known boat designer? A: It was a blast. Dad started Livingston Boats in the mid-’60s. In the first boat — a little 16-foot Livingston catamaran — we went to the San Juan Islands. And then dad went to Reinell. We were the unofficial test family; we always had boat No. 1 for many models. We would get a new model at the beginning of the summer and run it. We would sit down at the end of the summer and write down all the good and bad things about the boat. From there, Dad went to Bayliner. We had an 18-foot Force, a 45-footer and everything in between. Q: How have boats changed in the past 10 years? A: Boats are much more complex today, just like our cars. You can’t find a car with roll-up windows or without airbags, good air conditioning and a great sound system, even on the low-end models. Heck, with our boats I don’t remember the last time we built one without bow and stern thrusters, GPS, radar and a chart plotter. If the boat is headed to warmer climes, then they all go out with a generator and air conditioner. A lot of what we called “features” 10 years ago are now standard items. Q: How has boatbuilding changed? A: There are some really innovative building materials and processes out there — Kevlar and carbon fiber and resin infusion among them. And the hybrid engines are impressive. All this is great and works well, but it comes down to dollars and cents. You could build a boat that way and utilize all these technologies, but your market would shrink. It becomes so expensive that you limit the number of people your boat appeals to. Q: What new technology impresses you most? A: Electronics in the past 10 to 15 years have taken great strides with touch screens. They are very simple to use and have great maps. We put radar in some of our 21-foot boats. Engine technology, especially diesels, has come a long way, too. These engines are lighter for the same horsepower, smoother, quieter and more fuel-efficient.